New Delhi, Feb 15, 2017 : People will soon be able to pay taxes and track their returns through a smartphone app and get a new PAN within minutes using Aadhaar verification. 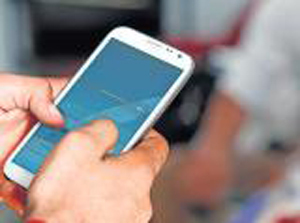 The Income Tax department is developing an app that will also allow assessees to apply for PAN using smartphones. "The app concept is at a preliminary stage.The app will enable assessees to pay taxes online, apply for PAN or track tax returns.Pilot project will be undertaken after getting approval from the Finance Ministry," an official said. So far, more than 111 crore Aadhar numbers have been issued.The unique identification number is being used for getting a new SIM card, for opening bank accounts, transfer of subsidies and also for biometric based digital payments under Aadhaar Enabled Payment System. There are currently more than 25 crore PAN cardholders in the country. Government has made PAN quoting mandatory for cash withdrawals of Rs 50,000 and cash purchase of above Rs 2 lakh. Beginning January 1, the tax department has started issuing newly designed PAN cards that have added security features to make them tamper-proof and with content on it in both Hindi and English. Please give the details how the PAN card is done so soon with the App in our mobile. I have submitted to the PAN office 15 days back but still haven’ t got any message or pan card yet.